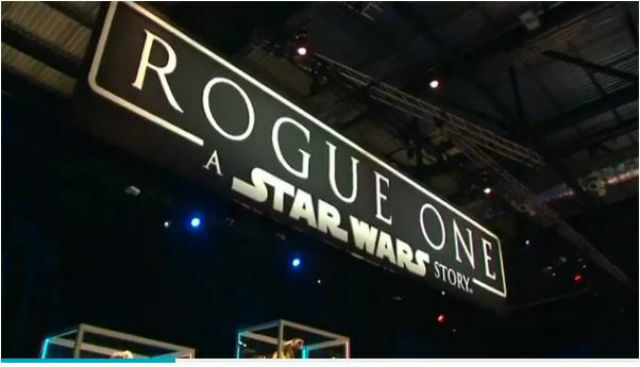 Star Wars ‘Rogue One’ lands in Hollywood: Who cares about traffic jams? The premiere at the Pantages Theatre, set for 5 p.m., is expected to attract a laundry list of talent, including much of the film’s cast, which includes Felicity Jones, Diego Luna, Forest Whitaker, Jimmy Smits, Ben Daniels and, of course, James Earl Jones as the voice of Darth Vader. The film is a prequel to the original film in the series, “Star Wars IV: A New Hope,” and follows the band of rebels that decides to steal plans for the Death Star, touching off the events that led audiences to the introduction of Luke Skywalker, Han Solo and Princess Leia. Streets in Hollywood began closing Monday to accommodate preparations for the premiere, with Hollywood Boulevard shut down between Ivar and Argyle avenues. The closures increased on Friday, with a stretch of Vine Street shut down Friday night. Many of the streets will be reopened by Sunday morning, except for Hollywood Boulevard, which will remain closed between Ivar and Argyle avenues until 6 a.m. Tuesday. A long tent covering the red carpet was constructed over the course of the week, but by Wednesday, an X-wing fighter plane showed up on the boulevard, becoming a major attraction with camera-wielding tourists.